Would you like to enjoy video MP4 on your Sansa? 4Easysoft Sansa Video Converter can help you definitely. The Sansa Video Converter can help you convert any popular video to Sansa supported video MP4 and audio MP3 for you to fully enjoy movies and music on your Sansa player. Owning the ability to recreating Sansa video, 4Easysoft Sansa Video Converter can help you trim the video length, crop video frame, merge video chapters, add text or image watermark, and adjust video brightness/contrast/saturation. 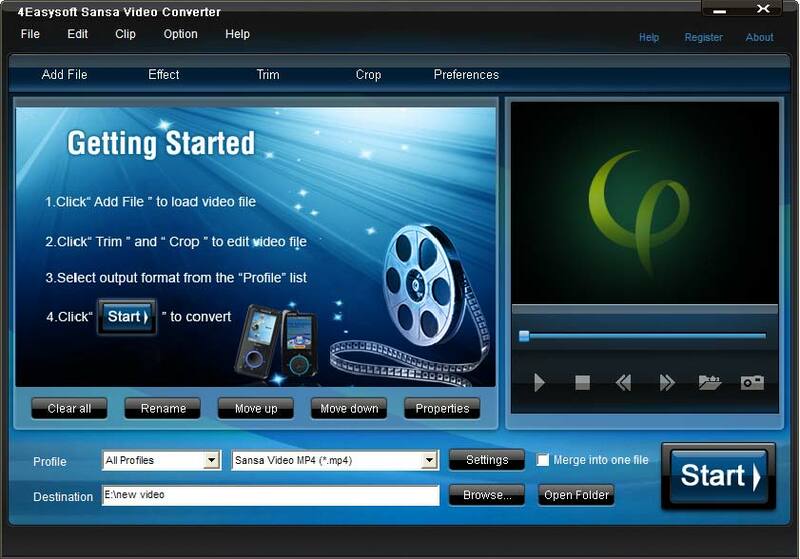 With this Sansa Video Converter, you can convert video MP4, MOV, AVI, FLV, SWF, RM, MTS, MKV, etc. to Sansa supported video formats for you to enjoy movies on Sansa. The Sansa Video Converter can also help you extract audio from video to convert to Sansa MP3 and convert any audio format to Sansa audio. 4Easysoft Sansa Video Converter helps you to get various output formats from input file(s) in one time converting. The Sansa Video Converter supports all Sansa models, such as Sansa Fuze, Sansa Clip, Sansa View, Sansa slotMusic Player. In addition, this powerful Sansa Converter can convert videos to iPod, iPhone, Zune, Sony Walkman, Creative Zen player, iRiver, etc. Adjusting video brightness, contrast and saturation to change the video effect to meet your requirement. The Sansa Video Converter provides you the way to trim the video to get part video from the source video by setting the start time and end time. It also enables you to join several video segments together. Attach your own watermark in the form of text or image. Also you can adjust the position and transparency of it. Set the video parameters (Video Encoder, Resolution, Frame Rate and Video Bitrate) and audio parameters ( Audio Encoder, Sample Rate, Channels, Audio Bitrate) for the output Sansa video. All these settings can be saved as user-defined profile for your later use. 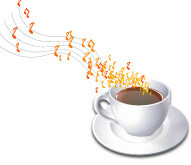 Choose the audio track and subtitle as you like from drop-down list. With the friendly and intuitive interface, 4Easysoft Sansa Video Converter will bring you a wonderful and easy experience to convert video to Sansa. With professional video encoding and decoding technique, This Sansa Video Converter can help you convert video to Sansa with fastest speed and best quality. How to free convert videos/music to Sansa?